Become a part of Paige and Michael’s beautiful wedding day as they are wedded at Cathedral Basilica of Saints Peter and Paul. This gorgeous church is the perfect compliment to this lovely bride and groom. Following the ceremony, Paige and Michael shared an elegant and fun-filled reception at The Union League of Philadelphia. Video One enjoyed capturing magic moments alongside Sarah DiCicco. Sid Miller Dance Band played nothing but tasteful tunes all night long as the bride, groom, and their guests danced the night away. Enjoy this short preview film below, and congrats to newly weds Paige and Michael! Jaclyn and Jacob shared a beautiful wedding at Tendenza. Video One was honored to be apart of the “getting ready” at Radisson Warwick Hotel. Wedding preparations are always a fun and exciting time! Tendenza posed as an excellent location for Jaclyn and Jacob’s big day. Shea Roggio Photography caught ever special moment shared between this lovely bride and groom. The dance floor was hard to resist with Sid Miller Dance Band playing such fantastic songs! Video One wishes Jaclyn and Jacob all the best for a happy and healthy future! Check out a short preview film from their wedding day below. Join Katie and Chris at the beautiful & historical Normandy Farm on their wedding day. But wait! Before you check out this exciting reception, you must see the heart felt vowels exchanged between Katie and Chris at Trinity Lutheran Church. Another great aspect of this wedding was Sid Miller Dance Band keeping the guests on their feet, as always! Peter Van Beever Photography photographed this special day. 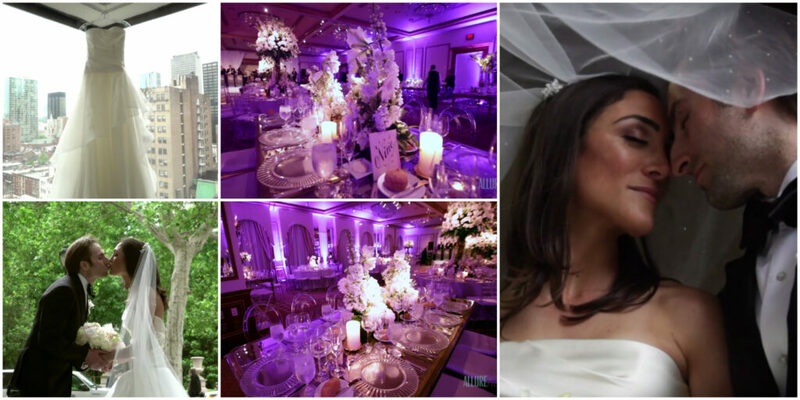 Relive this amazing wedding through a short preview film below. Congratulations to Katie and Chris from all of us here at Video One!